Revealed: How To Grow Your Brand and Attract Huge Audiences! Did you know that expanding your brand with a media property places you in a powerful position of influence? I’ll show you how develop a publication that will attract local, national and international audiences and significantly grow your business. Whether you’re an established business, a start-up, a charity, or someone with a passion that needs to be shared with the world, starting and promoting your own magazine can have a tremendous impact on your business and your personal life. In fact, I’d go as far as to say that Exceptional People Magazine has changed my life. With a global readership in excess of 300,000 people, I’ve been able to create incredible value and help my audience achieve exceptional success for themselves. In the process, I’ve connected with some of the most inspirational and successful people alive – millionaires, billionaires, and sports stars, to name but a few – and of course, this has allowed me to expand my influence and my own personal brand to every corner of the globe as a result. I’ve been able to follow my passion and work closely with people that inspire me and motivate me to be the best that I can be. By bypassing traditional publications and creating my own magazine, I retain complete control over what I choose to publish, the tone of voice, and every article that I feature. I don’t have to answer to an editor. I don’t have to work relentlessly to try and get my work featured by other media outlets. 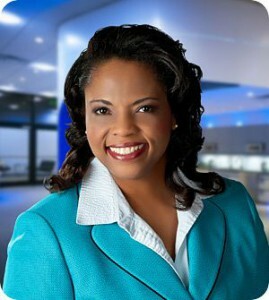 I’m in complete control of the news I disseminate about my company, products and services. 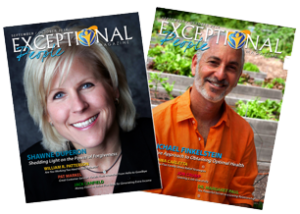 Exceptional People Magazine is an incredible source for helping you discover and unleash your full potential. It is a brilliant publication that truly sets the tone for aspiring to live an extraordinary life. Do you want to have total control over how you’re featured in the media? Do you want to expand your influence and build relationships with influencers in your industry? Do you want to create a profitable business that serves as a powerful marketing machine? Do you need a new way to put your company in front of a target demographic? Make no mistake, the publishing business is hard to break into, and actually making an impact is even harder. But that’s not to say it can’t be done. In fact, I’d like to share my decades of experience and help you on your path to successfully launching your own magazine. Isn’t it better to shortcut your success by learning actionable steps and strategies from someone who’s actually done it for themselves, rather than spending your hard earned time and money trying to learn by trial and error? What Can You Expect When You Join My Magazine Coaching Program? My success rate is going to be excellent. I knew my investment was good because I knew what I learned in my first session would put me quite a bit ahead. Monica answered questions I didn’t even know I had. If you don’t have this type of knowledge, you’re already behind the 8-ball. I didn’t know quite what to expect at first but what I received well exceeded my investment. One of the things that I have been so impressed with is that Monica exceeded my expectations on every call that I’ve had and my expectations were very high. My success rate is going to be excellent. The first meeting will be all about you and your vision; we’ll discuss the purpose of your magazine or periodical and the audience that you want to target. We’ll cover the essential elements for planning your publication; the A to Z of the business. I’ll help you to discover the unique format and design to enhance your publication and we’ll figure out how you can use this to boost your own brand. We’ll cover important strategic points, like methods of distribution and outlets for your publication. We’ll consider how to find and recruit your own team of creatives. I’ll show you how to solve the million dollar question – how do you effectively market your magazine and start making sales? You’ll learn how to develop an online presence for your publication, since it’s so important in today’s world. I’ll also help you to develop a media kit so that you can attract advertisers and start to scale up your business and revenue. Our coaching sessions will be scheduled at regular intervals, and this allows us to work through all challenges step by step, together, as and when they occur. Click HERE to get in touch and schedule a time to talk. Please note: Due to my schedule and the time that I invest into each of my clients, there are only a limited number of spots available for my exclusive coaching packages. If you’re interested in discussing the opportunity further, send me a message introducing yourself so we can arrange a free introductory call.